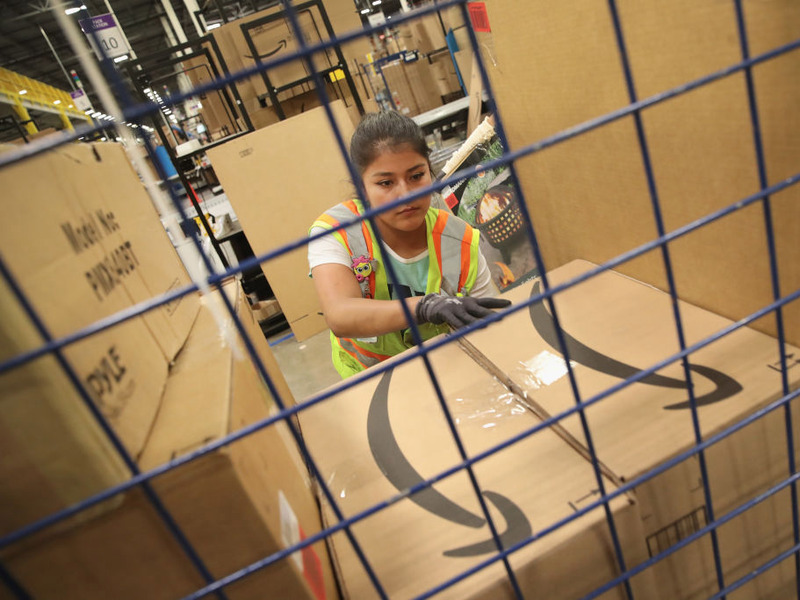 But, according to conversations Business Insider had with 29 different Amazon shoppers and sellers, a subculture geared towards driving sales through reviews has arisen on the site, and some are using underhanded tactics – including sharing discount codes and sending shoppers free products in exchange for reviews – to do so. On Friday, more than a dozen users confirmed to Business Insider that their accounts had been reopened after being shut down for several days. Many of these people said they had never broken Amazon’s terms of service or that if they did so, it was not intentional. Some of the shoppers who spoke with Business Insider about their accounts being closed, however, seem to have knowingly or unknowingly violated the company’s terms of service in regards to writing reviews. The mysterious account shutdowns, it seems, could be related to the company’s effort to clamp down on this subculture and the type of reviews it breeds. Amazon has not allowed users to be compensated – in the form of free or discounted products – for writing reviews since 2016. “The terms-of-service change was a tough day,” iLoveToReview’s former CEO, Keith O’Brien, told Business Insider. Founded in 2014, iLoveToReview was a service for third-party sellers that offered consumers free or heavily discounted products in exchange for reviews, a practice that would previously fall within Amazon’s terms of service. In 2016, Amazon changed its terms to stop incentivized reviews. While reviews for monetary compensation had never been allowed, the new rules prevented businesses from offering products for free in exchange for supposedly “honest” reviews. “Our community guidelines have always prohibited compensation for reviews, with an exception – reviewers could post a review in exchange for a free or discounted product as long as they disclosed that fact,” Amazon wrote in a letter to customers posted on its site in October. By 2016, O’Brien said, iLoveToReview had a client base of sellers who were doing about $US500 million in sales on Amazon in total. But, after it received the email from Amazon Legal notifying them of the changes, iLoveToReview was forced to close in one day. “Creating, modifying, or posting content in exchange for compensation of any kind (including free or discounted products, refunds, or reimbursements) or on behalf of anyone else,” is not allowed, Amazon now states on its website. 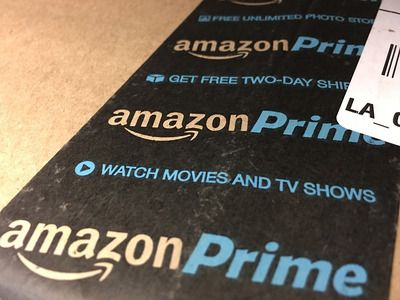 As incentives, by nature, are likely to drive more biased reviews – whether or not the seller asks customers to be honest – Amazon’s intent was to squash these practices. Now, the only reviews that can be incentivized come through Amazon’s own Vine program – an invitation-only club for a small percentage of elite reviewers, selected by Amazon, who are sent products and asked for honest feedback. There is no direct dialogue between the sellers and these reviewers, and vendors “cannot modify, influence, or edit the reviews,” according to Amazon’s terms. However, vendors can choose to pay for this service. AmazonVine reviews are marked in a green font. “We do not promise positive reviews by participating in Vine. We do not incentivise positive star ratings, attempt to influence the content of reviews or even require a review to be written. And, we limit the total number of Vine reviews that we display for each product. Vine has important controls in place and has proven to be especially valuable for getting early reviews on new products that have not yet been able to generate enough sales to have significant numbers of organic reviews,” a spokesperson for Amazon told Business Insider. A Vine review – written by a so-called “Vine Voice” – is marked with a green font. Amazon declined to comment on how much it charges per product – but some sellers’ forums cite it as costing upwards of $US1,000 per product. O’Brien told Business Insider the Vine review system could cost as much as $US2,500 per product, and that this fee is paid directly to Amazon. O’Brien says that the new ruling hasn’t prevented reviews for compensation from happening. Some sellers are now using other methods to incentivise customers without Amazon finding out. One of the most common tactics, according to Amazon customers who spoke with Business Insider, is to ask customers to buy a certain product on Amazon and say that they will subsequently be reimbursed via PayPal. In order for it to be marked as an “Amazon Verified Purchase,” the reviewer must have bought the product themselves, without receiving a discount from the vendor. In a 2017 interview with Digiday, an anonymous Amazon reviewer described the PayPal reimbursement method as the most “dishonest” thing a vendor had asked them to do. A private Facebook group called Amazon Blacklist, which provides its members with a forum to post reviews about dishonest buyers and sellers on Amazon, sheds light on just how widespread this controversial tactic is. Hundreds of customers have posted screenshots of their interactions with sellers who had promised refunds for reviews. Many of these customers hadn’t received the refund. AmazonTo be an ‘Amazon Verified Purchase,’ the reviewer must have bought the product themselves, without receiving a discount from the vendor. “I am dumbfounded that people are using PayPal,” Lorna C., an Amazon Prime member from Arizona, told Business Insider. Lorna, who asked that her last name not be used, was once a reviewer on Amazon and accepted products at a discount.But, she was barred from posting reviews on Amazon after she and her daughter duplicated a product review, which was a violation of the site’s terms. Lorna said that her Prime account was not among the wave of closures last week. She said she thinks she wasn’t affected because she has never accepted refunds via PayPal. PayPal’s website states that its customers’ personal information could be shared with Amazon. This means that Amazon could be aware of these PayPal refunds and is clamping down on shoppers who are using them. Sellers’ gaming of Amazon’s review system has played out in other ways. 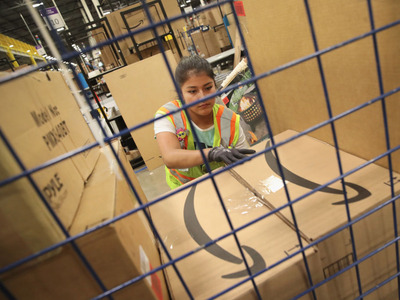 Getty/Scott OlsonSeveral people in the US and Canada reported receiving Amazon packages they did not order. “I got a full face snorkel mask and I live in the desert; there’s no water here,” Lorna said.